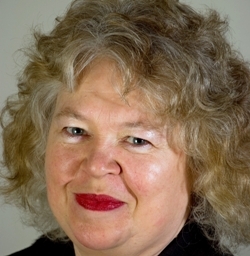 Green Party MEP Jean Lambert is to host a topical debate on the future of the UK’s relationship with EU. Ms Lambert will chair the event, which has been co-organised by think-tank Greenhouse and the Green European Foundation to examine how to make the EU a force for sustainability, on Friday at the London offices of the European Parliament in Westminster. The debate, entitled,’ ‘Greening the EU – is it possible? will also see the launch of a controversial new report by University of Surrey Professor of EU Politics Alex Warleigh-Lack – ‘Greening the European Union’ – in which he argues that the EU is about more than simply free trade and can help promote a transition to a ‘greener’ Europe. Speaking ahead of the debate, Ms Lambert said: “With much of the South of England under water – and much of London itself only escaping floods thanks to the regular usage of the Thames Flood barrier – we are seeing the effects of climate change in the UK more than ever before. “If we are to prevent this level of devastation becoming a new norm we must take immediate – and radical – steps to tackle climate change: and that means reaching agreement on reducing greenhouse gas emissions internationally. This entry was posted in National News and tagged 'Greening the EU - is it possible?, Alex Warleigh-Lack - 'Greening the European Union', Green Party MEP Jean Lambert by tamesidegreens. Bookmark the permalink.